Over recent years, many coastal engineering projects have employed the use of soft solutions as these are generally less environmentally damaging than hard solutions. However, in some cases, local conditions hinder the use of soft solutions, meaning that hard solutions have to be adopted or, sometimes, a combination of hard and soft measures is seen as optimal. This research reviews the use of hard coastal structures on the foreshore (groynes, breakwaters and jetties) and onshore (seawalls and dikes). The purpose, functioning and local conditions for which these structures are most suitable are outlined. A description is provided on the negative effects that these structures may have on morphological, hydrodynamic and ecological conditions. To reduce or mitigate these negative impacts, or to create new ecosystem services, the following nature-based adaptations are proposed and discussed: (1) applying soft solutions complementary to hard solutions, (2) mitigating morphological and hydrodynamic changes and (3) ecologically enhancing hard coastal structures. The selection and also the success of these potential adaptations are highly dependent on local conditions, such as hydrodynamic forcing, spatial requirements and socioeconomic factors. The overview provided in this paper aims to offer an interdisciplinary understanding, by giving general guidance on which type of solution is suitable for given characteristics, taking into consideration all aspects that are key for environmentally sensitive coastal designs. Overall, this study aims to provide guidance at the interdisciplinary design stage of nature-based coastal defence structures. The authors would like to express their gratitude to DAAD (German Academic Exchange Service) and Exceed Swindon (International Network on Sustainable Water Management in Developing Countries) for funding the Integrating Ecosystems in Coastal Engineering Practice (INECEP) Summer School. EurOtop. 2018. Manual on wave overtopping of sea defences and related structures. An overtopping manual largely based on European research, but for worldwide application. In ed. J. W. van der Meer, N. W. H. Allsop, T. Bruce, J. de Rouck, A. Kortenhaus, T. Pullen, H. Schüttrumpf, P. Troch and B. Zannutigh. Available online at www.overtopping-manual.com. IUCN. 2016. Nature-based solutions to address global societal challenges. In eds. Cohen-Shacham, E Walters, G Janzen, C Maginnis, S. https://doi.org/10.2305/IUCN.CH.2016.13.en. Kraus, N.C. 1988. The effects of seawalls on the beach: An extended literature review. 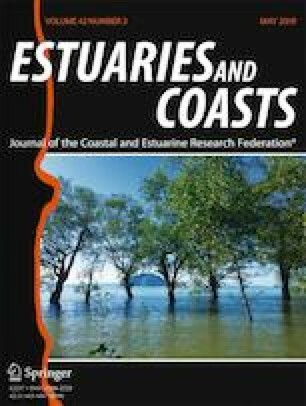 Journal of Coastal Research. 1–28. https://doi.org/10.2307/25735349. PIANC. 2011. Working with Nature- PIANC Position Paper. https://www.pianc.org/workingwithnature.php. Accessed 4 May 2018. SAGE. 2015. Natural and structural measures for shoreline stabilization. http://sagecoast.org/docs/SAGE_LivingShorelineBrochure_Print.pdf. Accessed 21 May 2018. U.S. Army Corps of Engineers (USACE). 2012. Engineering with nature fact sheet. https://ewn.el.erdc.dren.mil/pub/EWNFactSheet_Final.pdf. Accessed 12 April 2018. Van Rijn, L. C. 2013. Design of hard coastal structures against erosion. Accessed online 22/10/2018. https://www.leovanrijn-sediment.com/papers/Coastalstructures2013.pdf. Accessed 22 Oct 2018.